Augusta, Ga., September 24, 2012 — The Southeast’s largest privately held vertically integrated beef processor, FPL Food, LLC, based in Augusta, Ga., will add a new level of quality assurance and food safety to its operations when it implements DNA-based traceability from IdentiGEN North America this month. Following four years of development and research, FPL Food will work with IdentiGEN’s team of DNA scientists to analyze and catalogue DNA samples of FPL beef at IdentiGEN’s lab in Lawrence, Kan.
IdentiGEN’s DNA TraceBack® process, which was originally developed to help European retailers rebuild consumer confidence following the mad cow disease outbreak in Europe in the mid-1990s, will enable FPL to verify that 100 percent of the beef it processes is pure boxed or ground beef and is 100-percent traceable back to its source. The DNA-based traceability process will also be used to quickly and accurately trace beef back to its processing batch in the event of a food safety problem. 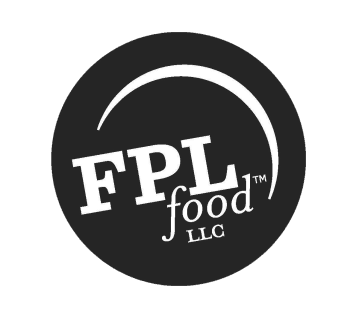 FPL and its 800 employees supply retail, foodservice and export customers including Halal production, portion control steaks, thinly sliced meat selections and marinated products. FPL also markets value-added packaged beef under its Châtel Farms and Solstice Meats brands. “We have a rigorous safety program, including state-of-the-industry systems to reduce pathogens and certified independent microbiological testing of all fresh beef trimmings at our plant. The DNA TraceBack process will give us yet another way to assure our customers that we take safety and quality seriously,” said Francois Leger, owner and founder of FPL. The DNA TraceBack process enables retailers, meat producers, meat processors and food service outlets to respond to the growing demand among consumers, both domestically and in export markets, for more information about where and how their meat is produced. IdentiGEN North America, Inc., is a privately held company, and a leading provider of DNA-based solutions to the agriculture and food industries. It is based in Lawrence, Kansas. 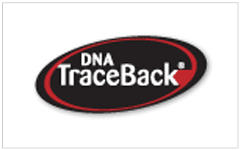 Through IdentiGEN’s DNA-based TraceBack® process, retailers, meat processors, producers and local governments, for the first time, have the tools to unequivocally trace meat back to its source. Additional information can be found at www.identigen.com and www.dnatraceback.com.